A new Abacus Data National Poll finds that although there has been little change in overall vote preference numbers, the Conservatives have widened their lead over the Liberals to 11-points. The Conservatives dominate the opposition parties among Canadians aged 45 and over, and have large leads in Alberta, Manitoba and Saskatchewan, and in British Columbia. In battleground Ontario, the Conservatives have an 8-point lead over the Liberals, with the NDP trailing at 21%. 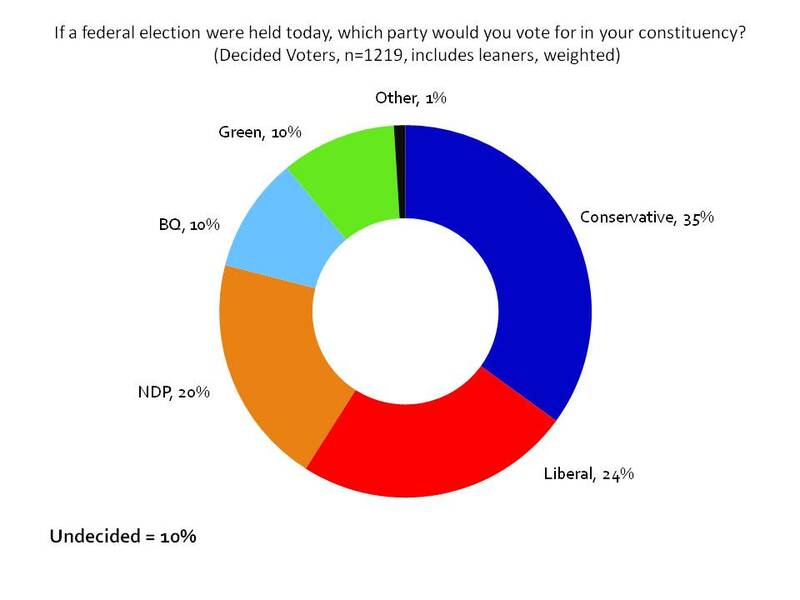 Quebec remains BQ territory with four in ten Quebecers saying they’d vote for the BQ while the federalist parties divide, almost equally, the remainder of the vote. Atlantic Canada is very much a three-way race at the moment, with the Conservatives and Liberals having a small statistical lead over the NDP. 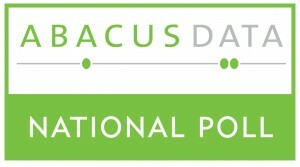 From December 3rd to 6th, 2010, Abacus Data Inc. conducted an online survey among 1,361 randomly selected Canadian adults from an online panel of over 100,000 Canadians. The margin of error—which measures sampling variability—is comparable to +/- 2.7%, 19 times out of 20. 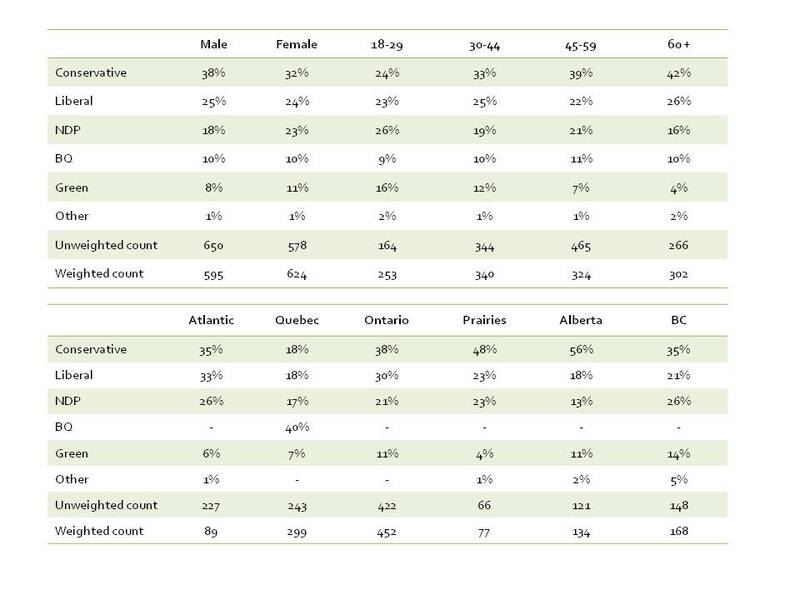 Results of the survey were statistically weighted by gender, age, region, language using census data from Statistics Canada and by past vote using Elections Canada results from the 2008 General Election. Totals may not add up to 100 due to rounding. More interviews were completed in Atlantic Canada and so the weighted total of interviews does not add up to 1,361.